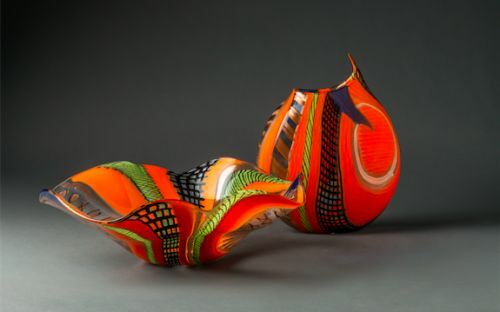 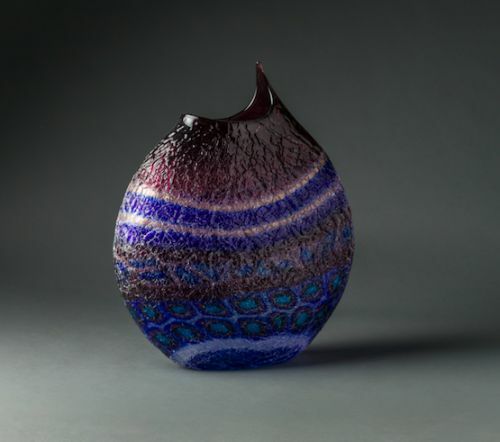 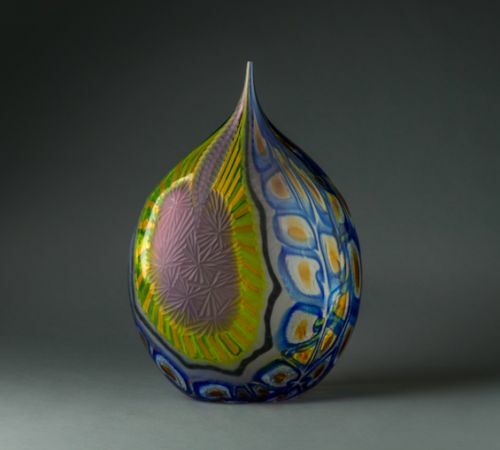 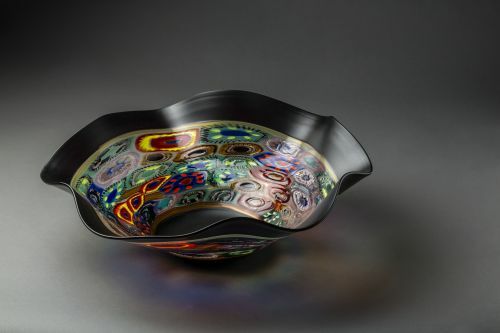 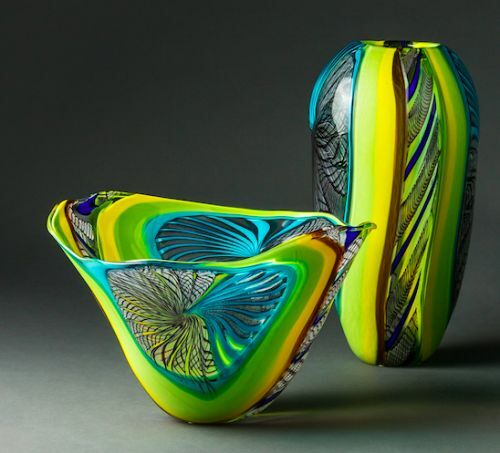 Colour dominates over shape in Luca Vidal’s works: the imaginative blend of murrine and filigrane prepared by the Master, following his effort in a everlasting quest for beauty, form one-of-a kind interweavings and combinations, creating vibrant works of art exhibited in various Italian and American art galleries. 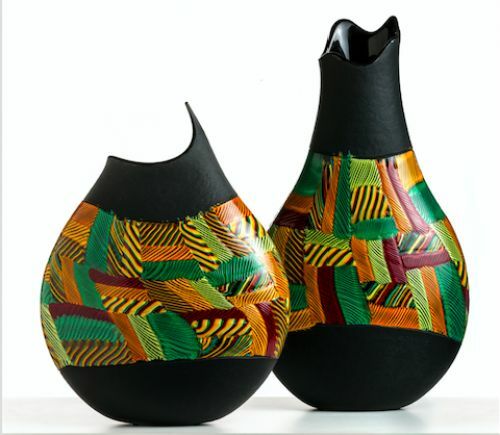 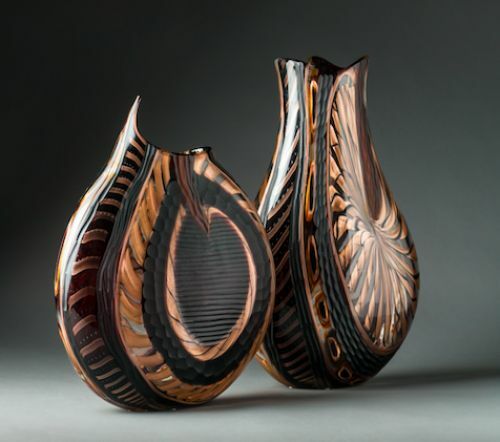 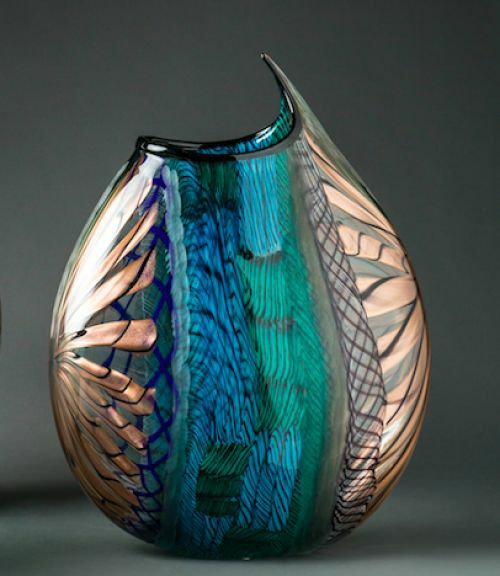 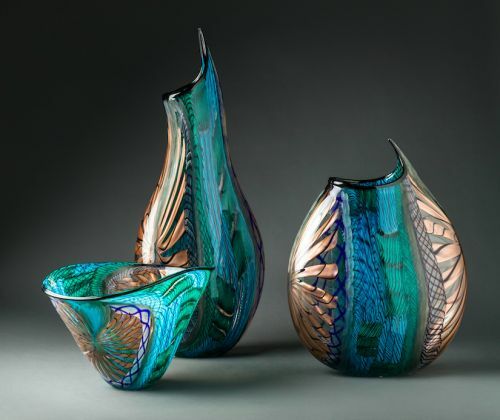 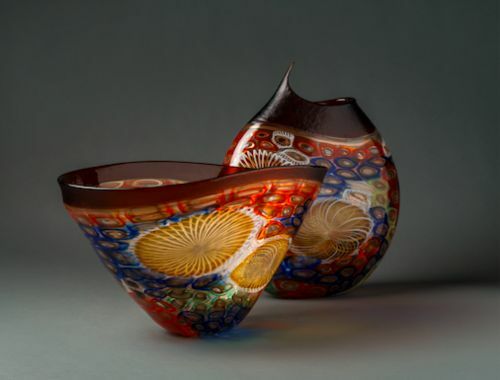 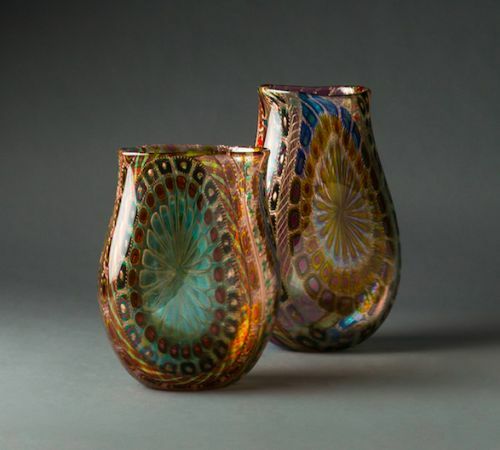 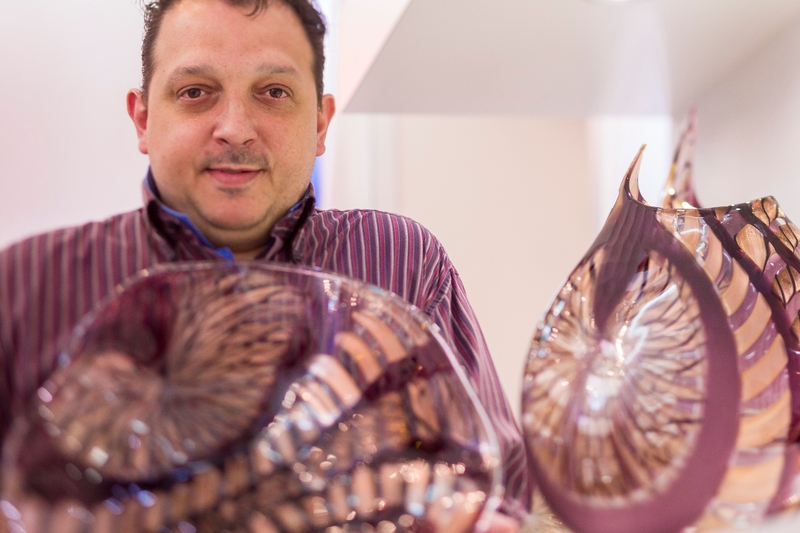 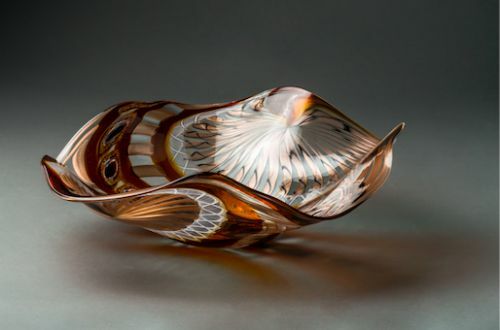 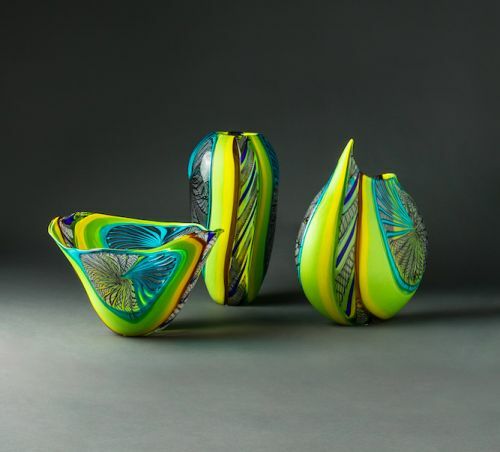 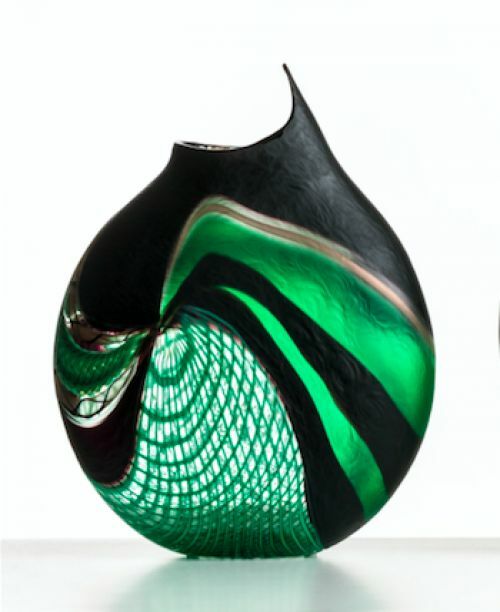 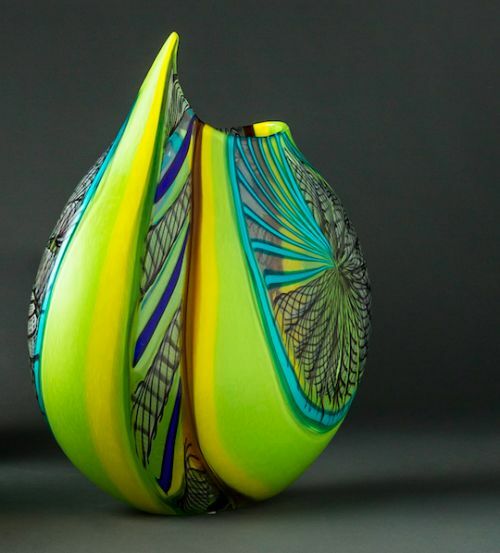 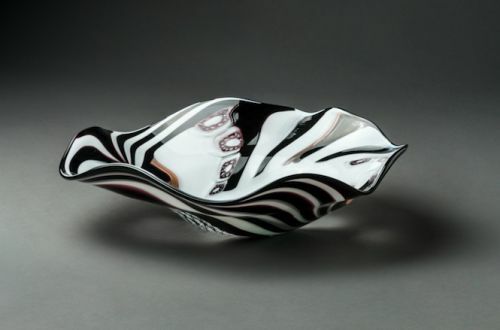 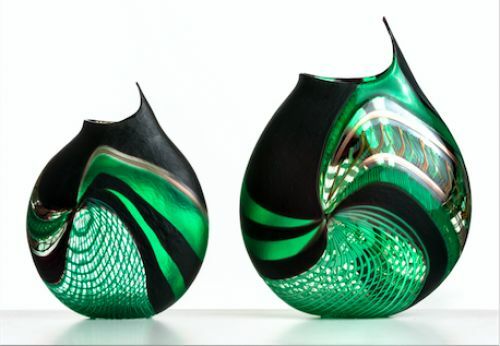 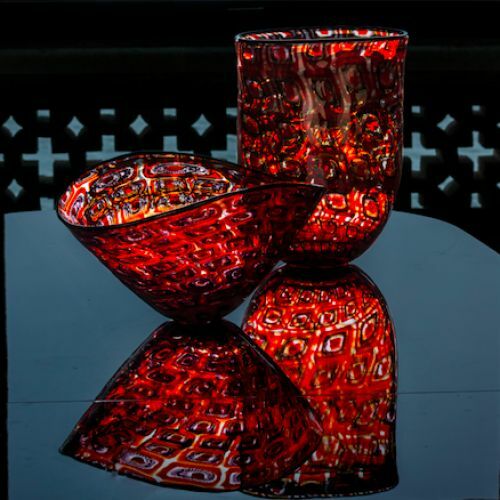 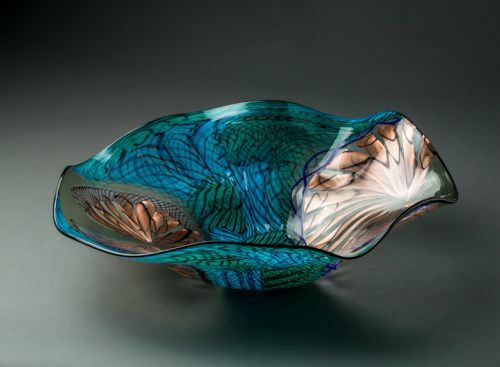 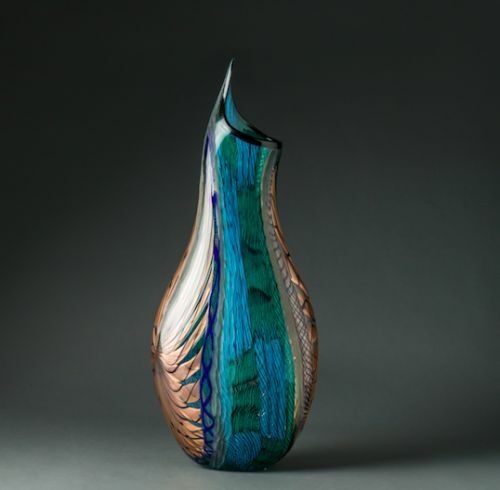 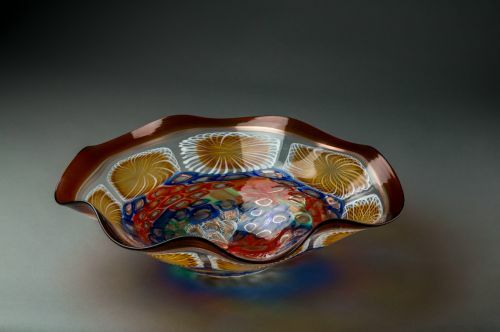 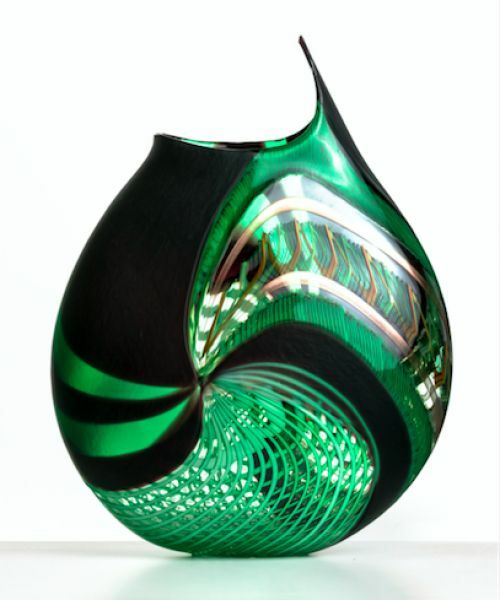 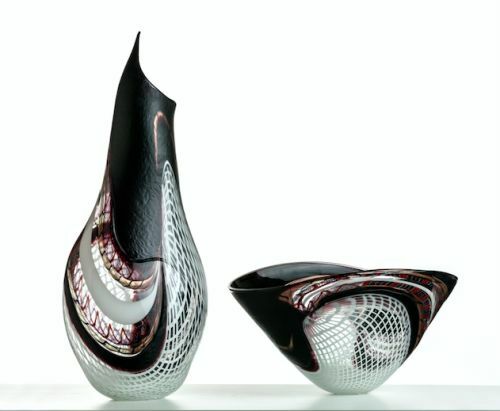 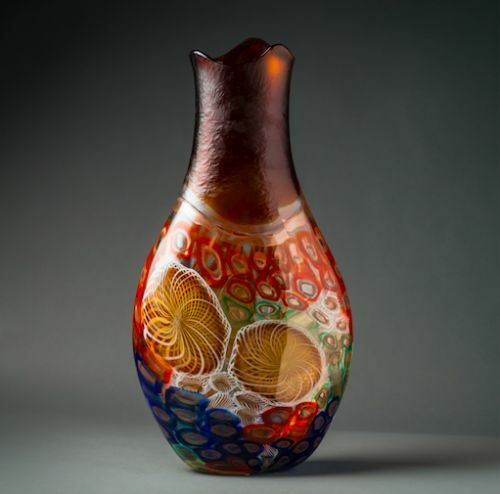 Having grown up in a family of fishermen on the island of Burano, Luca Vidal began learning the art of crafting glass at the very young age of 14, working at the side of the Master Imperio Rossi. 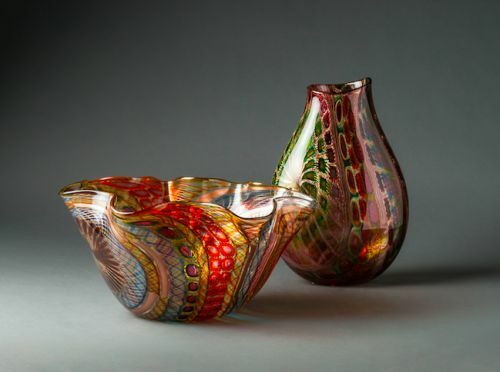 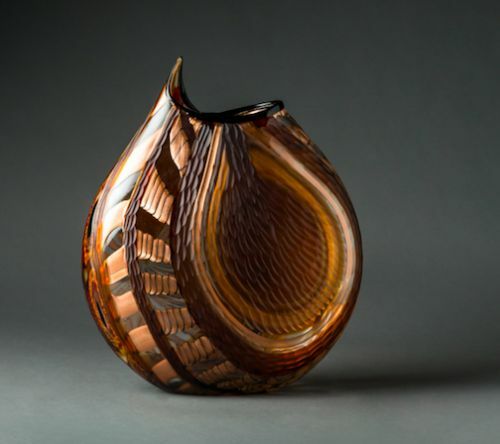 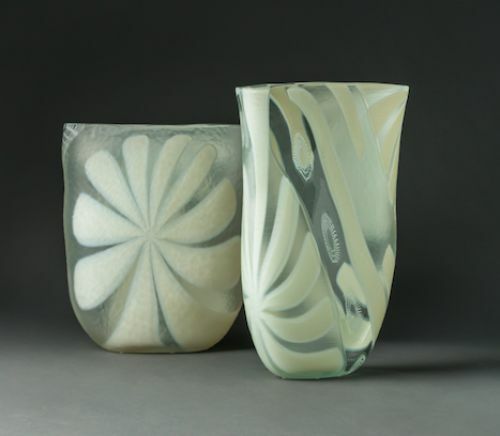 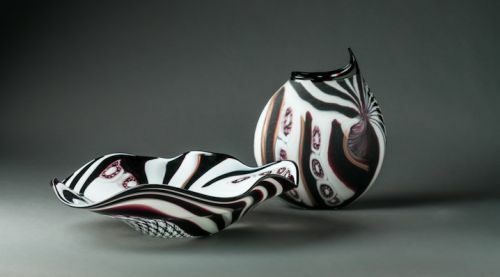 However, notwithstanding the fact that he was a quick learner, his apprenticeship continued for a decade, during which he learned to master the most advanced techniques of the glassmaking art, and to refine his own natural talent. 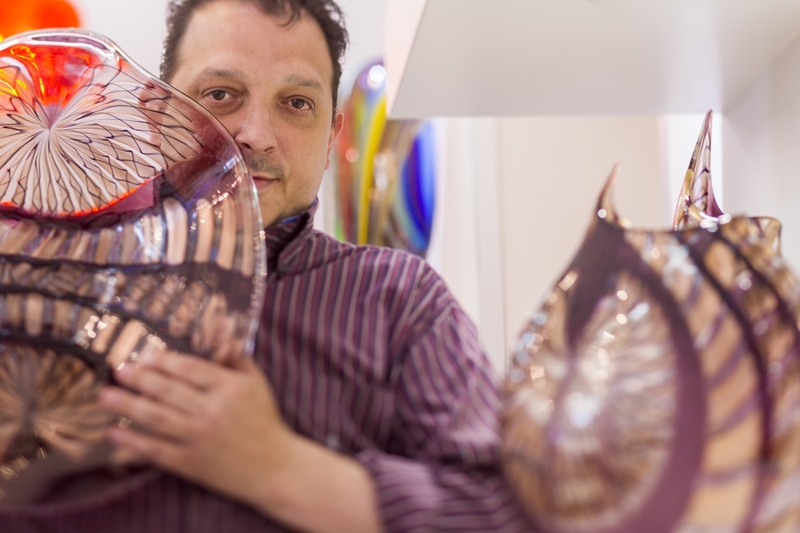 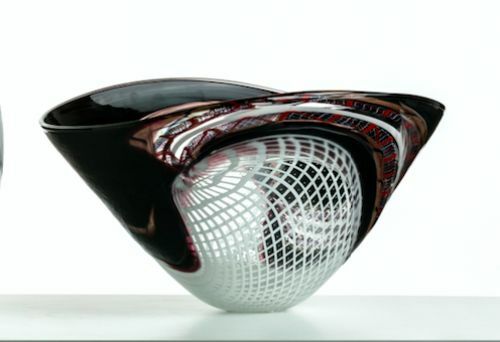 Having specialized in crafting works of contemporary artistic glass pieces, Master Vidal has especially dedicated himself to the creation of vases, cups and centrepieces that have a unique and unmistakable style: their colours are stretched out and unravelled in order to enhance their hues, in symmetries and geometries that alternate with each other in tandem with luminous transparencies, giving shape to a living beauty that the Master’s sensibility manages to further exalt with a molatura (fine grinding) that is able to cause glossiness to dialogue with the opaqueness, smoothness with roughness, the concave with the convex. Luca Vidal’s exceptional ability has made it possible for him to collaborate with masters such as Pino Signoretto as well as with internationally renowned designers.